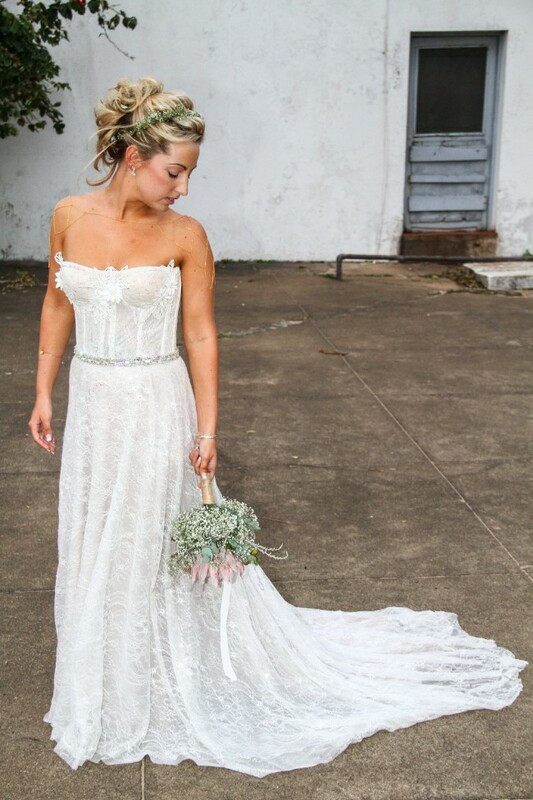 Beautiful ivory wedding dress perfect for summer weddings brought great happiness and plenty compliments. Belt is included in sale along with beautiful bride custom made hanger. Size is 6-8. Reason for selling my wedding dress is because i would like someone else to make use of this absolutely beautiful wedding dress instead of collecting dust in my closet. Once you send a message, Corrine can invite you to purchase the dress.